For an independent developer, managing user accounts and handling user login is sometimes more of a hassle than it is worth. 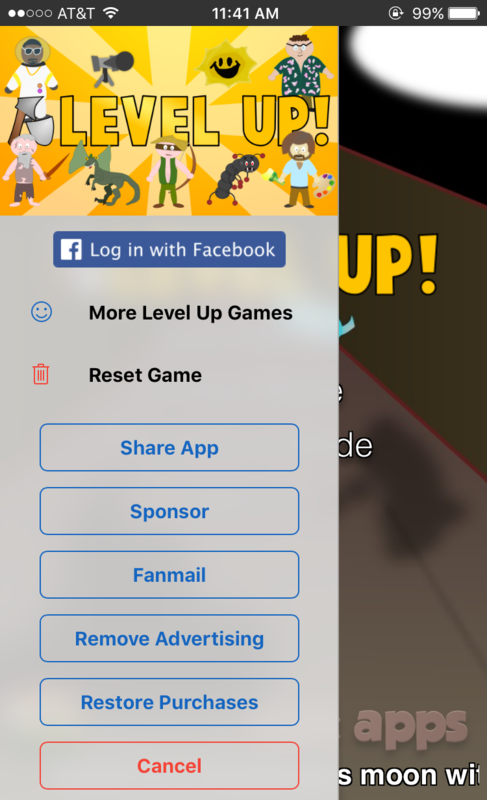 This is why, for years now, I have been using Facebook login for account management on my mobile apps and for providing cloud sync functionality in my games. And for the most part, it has worked out pretty well, at least functionality-wise. Philosophically though, there have always been things that have not sat right with me regarding Facebook, which is why I have spent the last couple of months working on this new website software and my own in-house Ape Apps account system. Now that I am finally ready to pull the plug on Facebook, I thought I'd share some of my experiences that I have had working with them over the years, from the standpoint of a small business owner. Although I started Ape Apps back in 2010, it wasn't until early 2012 that I created my Ape Apps Facebook page and began marketing and promoting my business using Facebook. At this time, Facebook was a lot different than it is today. Keep in mind, I started using it for Ape Apps several months before their public IPO. Back then, the platform worked amazing for promoting my (at the time) brand new Ape Web Apps website. I remember when I launched my Finger Paint app on Ape Web Apps, all I did was post a link to it on the Ape Apps Facebook page, and within a day, the web app had surpassed months worth of user acquisitions on both iOS and Android combined. Finger Paint never went "viral" on Facebook or anything. To promote my Facebook page, I had put a link to it in all of my Android and iOS apps, and it only took a couple of months before my page had over 10,000 followers. When I posted a link to a new web app back then, it seemed to be going out to nearly all of those followers' newsfeeds, or at least a good percentage of them. Fast forward about a year or so after their IPO. I started noticing a significant decline in the amount of followers to my page who would actually see my posts. Links that would once get several thousand views were now only seeing a hand full, maybe 10 or 20 at the most. This was despite having over 10,000 followers on my page. Around this time, they implemented a new "feature" to where you could pay money to "boost" a post, allowing more people to see it. Essentially, they made it so that if you wanted your own followers to see your posts, you would have to pay money. I resisted using the boost function, but it was becoming virtually impossible to launch new web apps with any sort of exposure using Facebook. So one day I decided to bite the bullet, and I spent about $60 boosting one of my posts about a new release on Ape Web Apps. At first glance, it looked as though the boost was a huge success, as the Facebook website told me that over 100,000 people had viewed my post. "Wow," I thought. This is going to be my biggest web app launch ever! There was just one problem though, none of those "views" translated into visitors to the site. There was virtually no increase in traffic to my website as a result of the post boosting experiment. Now, I have no way of knowing for sure if the views claimed by Facebook actually took place or not, but I do know this: Back when new posts actually went out to my followers, I could get hundreds of visitors to my website for free. It seems as though, even when paying them money to "boost" your posts, you still can't get your posts out to your own followers, the people who are actually most likely to click on your links. It never fails that every single time I log into Facebook now, there is a sponsored "petition" from the Democratic Party front and center on my newsfeed, and it always needs 100,000 signatures before midnight. 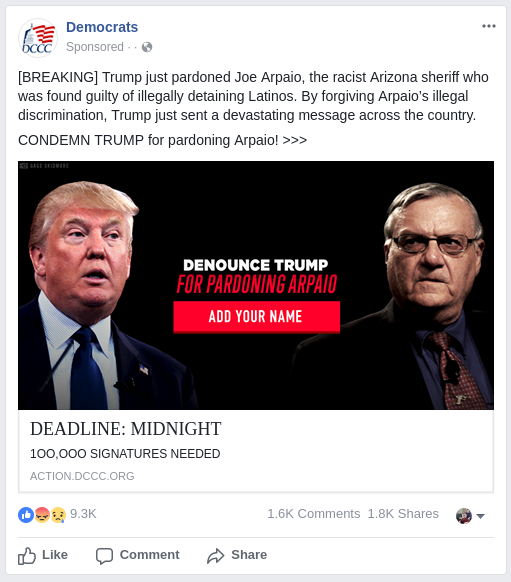 And if you ever look at the comments for these "petitions," they are 80% full of Trump supporters making fun of the ad. I mean... why? At the end of the day, it all has to come down to user experience and usefulness. I have never received a compliment about how handy it is to have Facebook login in my games, but I have sure gotten a lot of complaints about it. I also very rarely hear anybody in real life under the age of 50 saying anything positive about Facebook. If you look at their quarterly reports, it seems like the company is booming with more users than ever before. I just don't see how it can be possible. Facebook to me seems like a dying platform. Of course, it might be that I am reading the tea leaves completely wrong here. For me though, I no longer see any value in utilizing Facebook in any of my apps or games, or in using their platform to promote my business. That is why, over the coming months, I will be slowly removing their services from everything Ape Apps related. Sounds great! 100% agreement. I used to promote a band I played for and we burned through several hundred dollars to "boost" our promo ads and posts. Didn't seem to make much difference which is why we quickly discontinued the practice. Agree 100%. I deleted my account months ago. Left on May 30th 2010. No regrets.